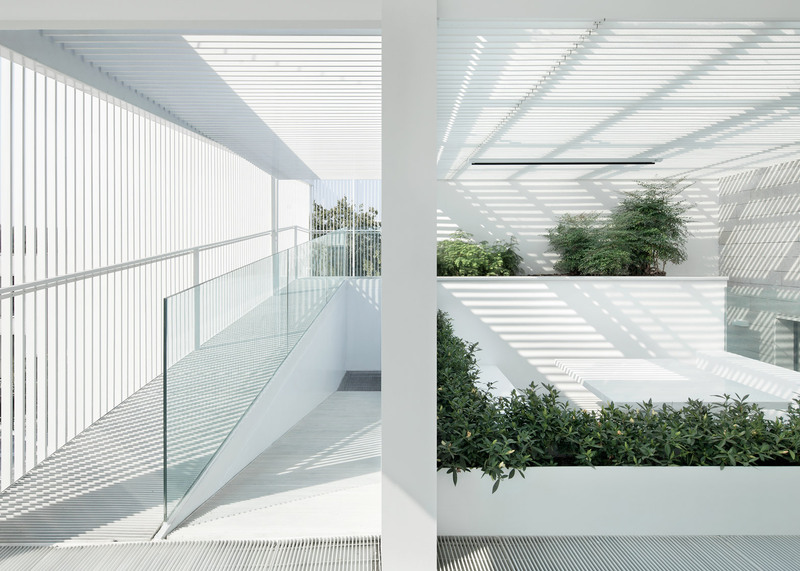 Narrowly spaced steel louvres wrap around the exterior of this extension to a house in Beijing, providing privacy and creating linear patterns of light and shadow throughout the minimal white interior (+ slideshow). 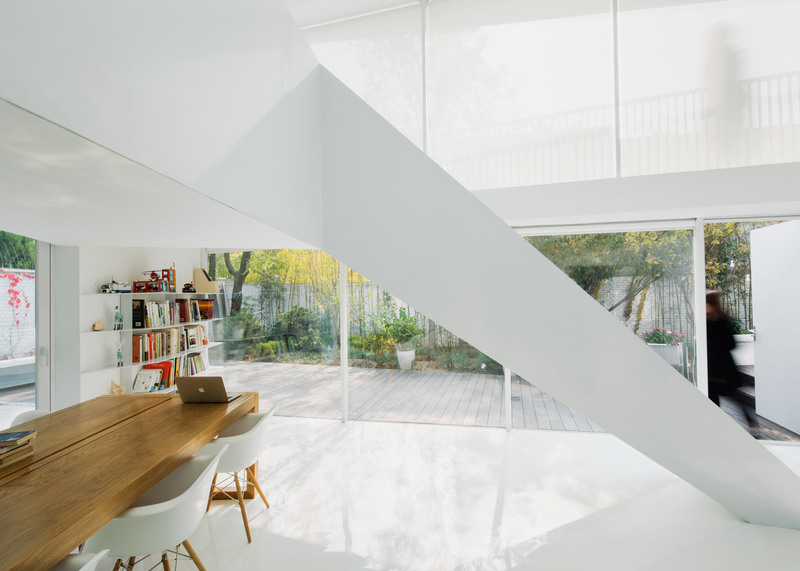 Local architecture firm Remix Studio oversaw the expansion of a villa in the northeastern district of Shunyi for a couple of screenwriters and their children, who wanted new spaces for working, entertaining and everyday family life. The extension is largely incorporated around the southern elevation of the existing house, which comprises two storeys and a basement level. It contains new areas including a double-height studio, a roof terrace, a kitchen garden and a projection room. 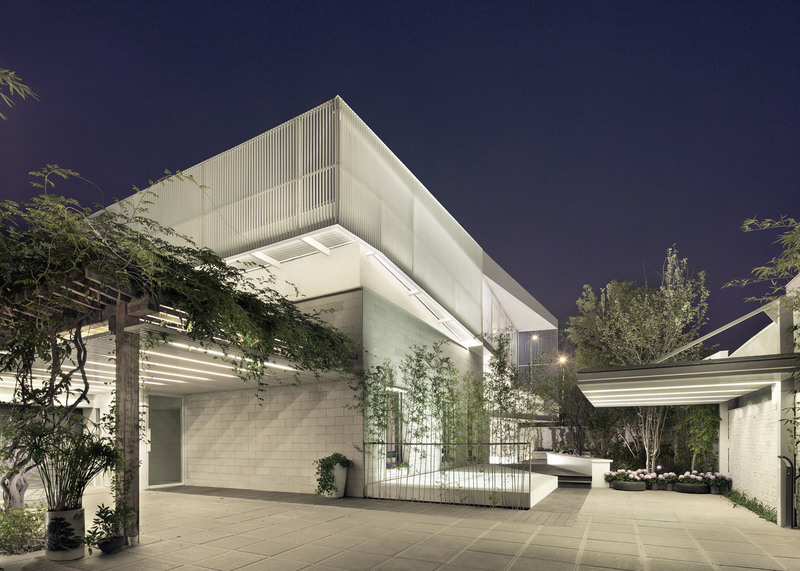 Planned as a single volume containing interconnected spaces with diverse purposes and characteristics, the Shunyi House extension features a mixture of transparent and semi-open facade systems. "The new volume is designed as a device of filtering environmental and programmatic factors," claimed the architects, "a spatial structure that is internally never secluding, never concluding but constantly modulating successive scalar sections through shadowy subtleties and diaphanous layerings." 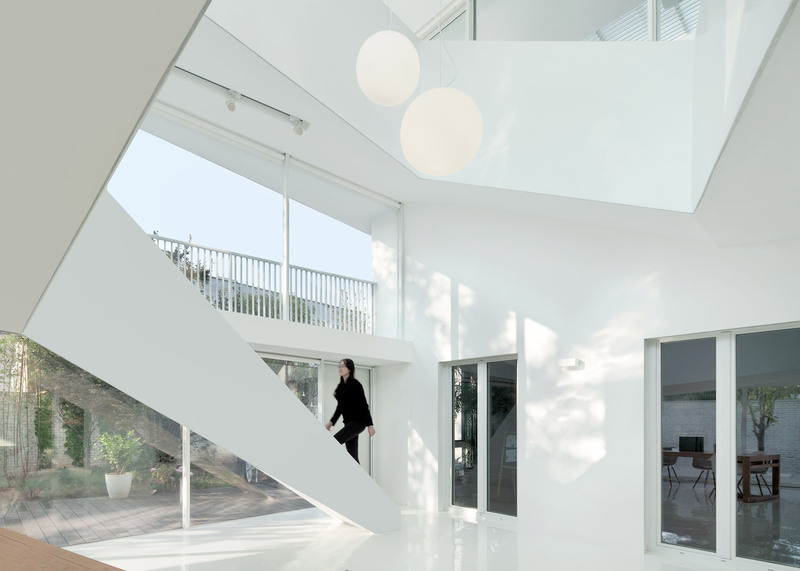 A basic palette of materials mostly finished in white matches the monochrome appearance of the existing house and creates a sense of cohesion throughout the extension. 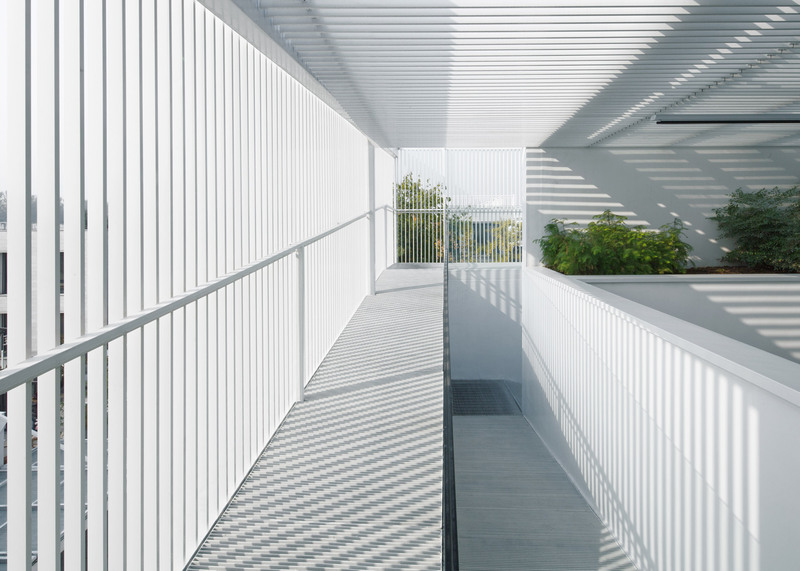 The simple metal supporting structure, aluminium louvres and flooring made from metal grid or resin all contribute to the minimal aesthetic. "The seemingly uniform character of the intervention is in fact a narrative of continuously changing effects when explored and examined," the project team added. 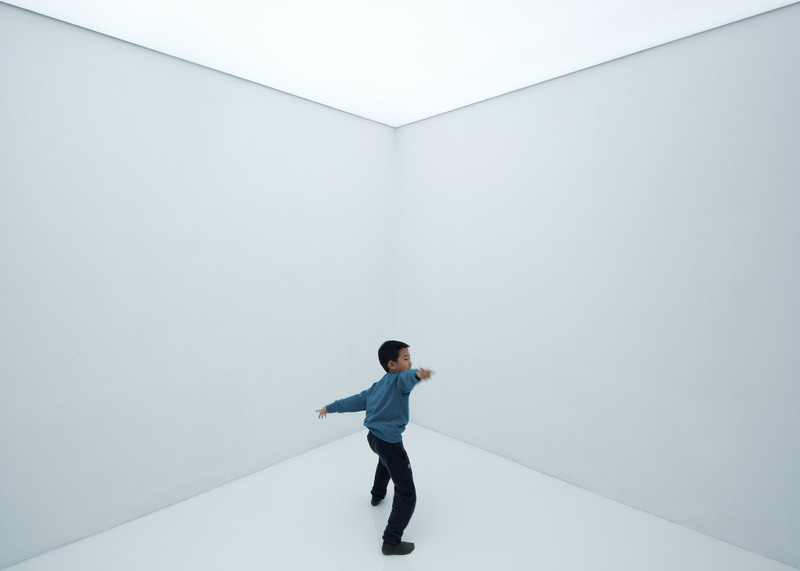 "From the garden to the top, the gradual transformation of intensities – the modulation of lights, materials and colours – organises a multiplicity of effects." 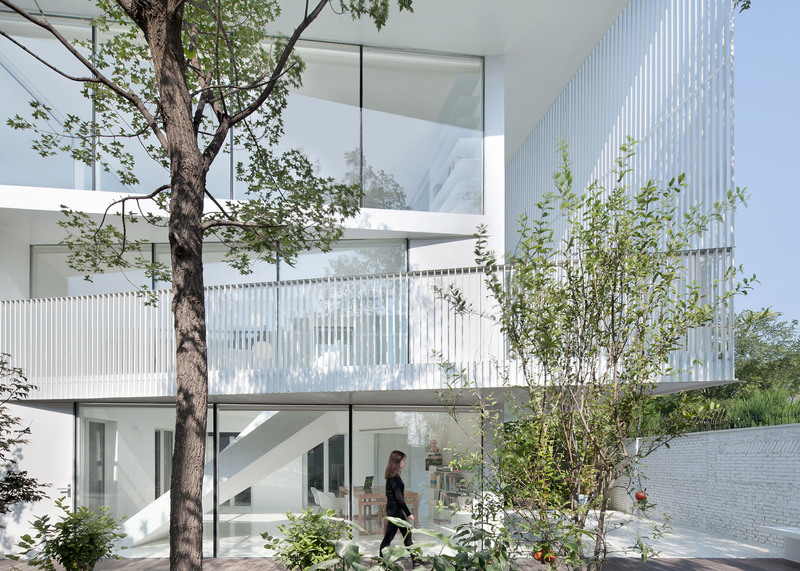 The original house is formed from two interconnected boxes around which the new mezzanines, balconies and roof terraces extend. 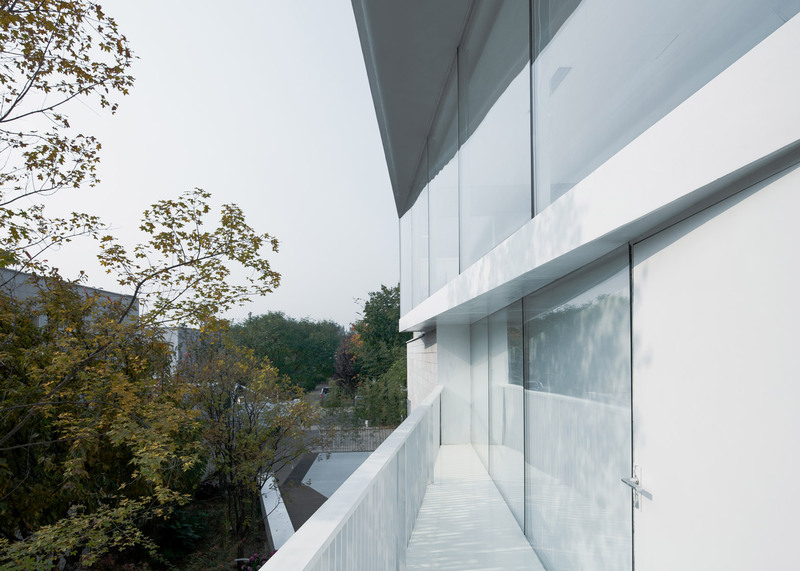 These are linked by a folding internal staircase and external ramps that continue towards the balconies and gardens. In one corner, an existing patio area has been glazed in and transformed into a studio with a double-height void at its centre. The void now contains the main circulation, while a door and sliding glazed panel connect the room with a decked area outside. In place of the previous programmatic separation of spaces, the refurbished interior offers a more flexible layout. The new areas, particularly around the edges of the void on the upper levels, support activities such as reading, relaxation and tea drinking. 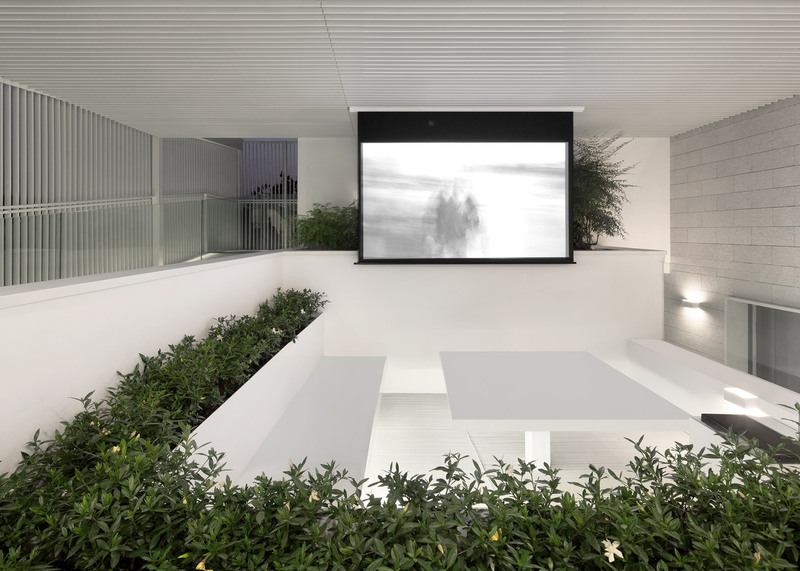 Existing roof terraces that had been underused because of their poor accessibility are revitalised as internal spaces, including a semi-outdoor projection room at the top of the building. This space features bench seating flanking a table and a screen that descends from the slatted canopy. Planting is used throughout the extension to provide privacy where required and to introduce a green element that offers a complement to trees visible in the garden and surrounding neighbourhood. 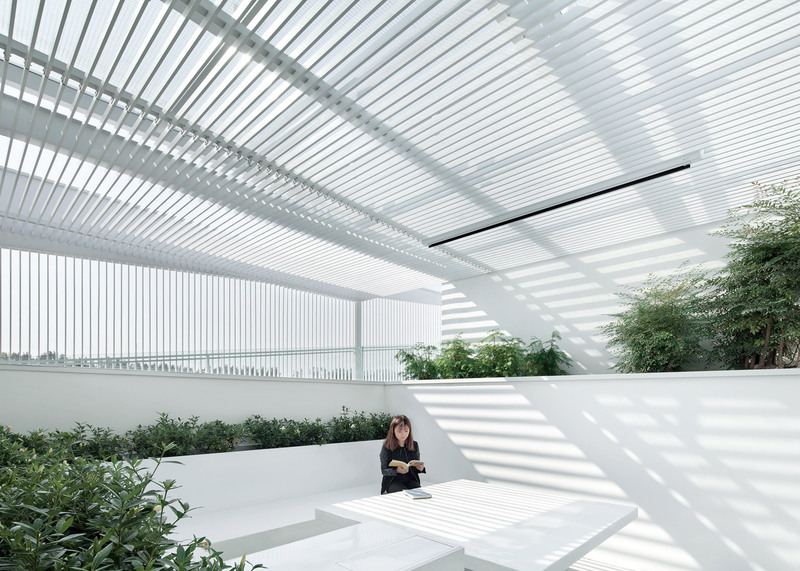 ReMIX Studio's own offices are accommodated in a traditional hutong house that it converted using glass and steel to create new spaces within the original wooden structure. It also developed an installation outlining its proposed renovation of a house in the city as a wireframe of illuminated string. Photography is by reMIX Studio, unless stated otherwise.